The Bills beat the Chiefs yesterday to improve to 6-5, and currently have a hold on a playoff spot. Tyrod Taylor, who started at quarterback just one week after being benched for a guy who threw five interceptions in one half, had a typically good-but-not-great game, throwing for 183 yards and a touchdown while not turning the ball over. Next week is a home game against the New England Patriots. 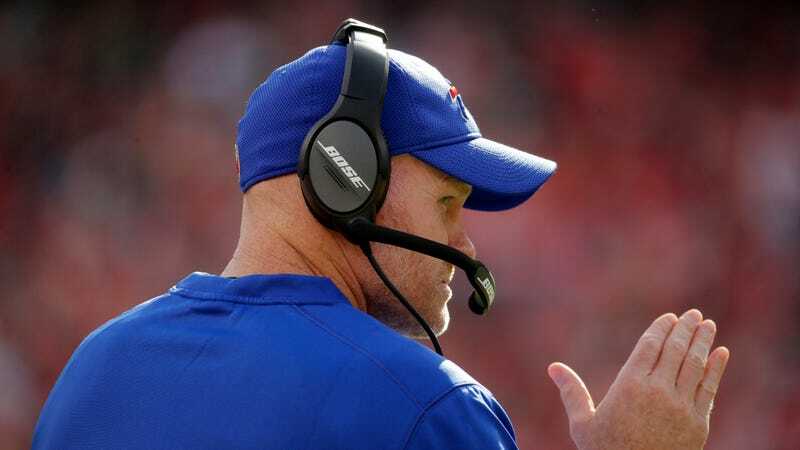 McDermott was asked if Taylor would now be his quarterback until his team is eliminated from the playoff race, and he balked at the chance to commit. “Tyrod’s our quarterback next week,” McDermott said. This is nuts! Again, Tyrod Taylor is nobody’s idea of a Hall-of-Fame quarterback, but he also didn’t recently throw five goddamn interceptions in one half. It should be very easy to pick between those two options for the rest of the season. Tyrod Taylor Is The Bills&apos; Starter Again, Because Why Not?